The latest Press Releases from Ambea. The shareholders of Ambea AB (publ) are hereby summoned to the annual shareholders’ meeting on Thursday 16 May 2019 at 10.00 a.m. at Näringslivets Hus, Wallenbergaren, Storgatan 19 in Stockholm. Registration starts at 09.15 a.m. The Board of Directors of Ambea AB (publ) ("Ambea" or "the Company") has on April 15, 2019 resolved on a new issue of shares with preferential rights for existing shareholders of approximately SEK 1.2 billion (the "Rights Issue"), subject to approval by the Annual General Meeting on 16 May 2019. The purpose of the Rights Issue is to repay part of the financing of the acquisition of Aleris’ care operations and is carried out with the support of the Company's larger shareholders. It is now confirmed that Vardaga will open yet another nursing home for elderly in own management in the Gothenburg area. 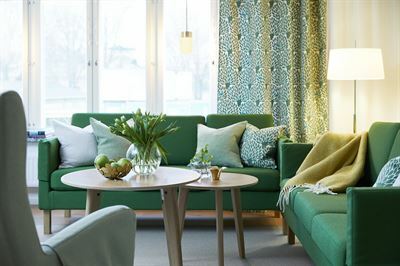 Villa Kviberg will comprise 77 apartments and will be located next to the river Säveån. 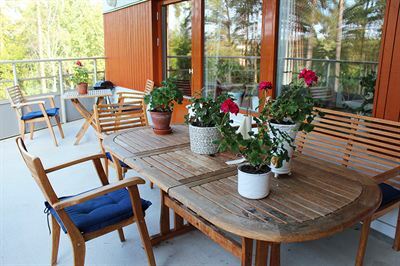 The home is also in close proximity to museums, parks and good transportation, within 10 minutes from central Gothenburg. 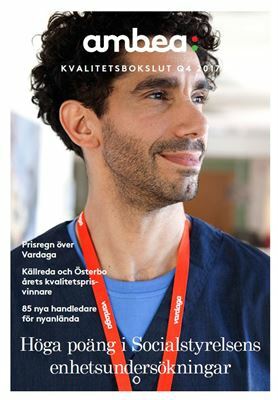 Vardaga will now have its first nursing home for elderly in Örebro. Villa Väster Park will comprise 80 apartments by the old regiment area, central and close to good transportation. Jordbro will soon have a new Finnish-speaking nursing home for elderly. 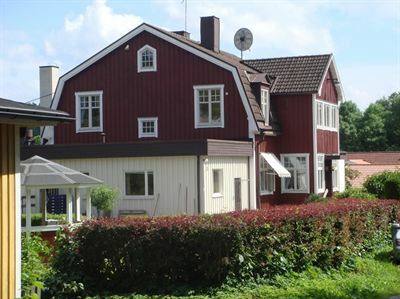 Villa Gullringen will comprise 79 apartments in Kalvsvik, close to both good transportation and nature. 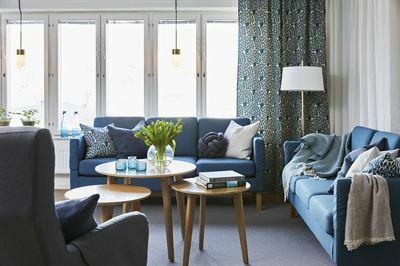 The home caters to elderly with dementia or age-related physical disability, and will also include Finnish-speaking section. 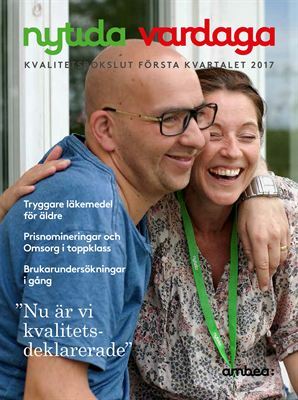 It has been confirmed that Vardaga will open yet another nursing home for elderly in own management in the southern parts of Sweden. 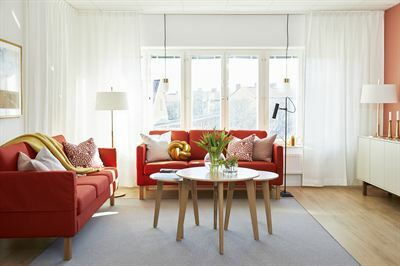 Villa Fridsbo in Löddeköpinge will comprise 60 apartments and will be situated in beautiful surroundings by Norrevångsvägen, overlooking fields and the nearby Fridsbogården. After almost three years, Truls Navestad is set to leave the position as Business Area Head of Heimta, Ambea’s Norwegian operations. He took office in 2016, shortly after Ambea established itself in Norway through the acquisition of six disable care companies in the country. The Board of Ambea AB (publ) has resolved to initiate a share buyback program for a total of 50,677 shares until May 16, 2019. CEO comment: Like the preceding quarter, the third quarter showed strong profitability and growth. The adjusted EBITA margin improved one percentage point year-on-year, and Ambea continued to deliver positive growth in own management. The acquisition of Aleris’ care operations will broaden our growth platform, and make us the largest care provider in Sweden, Norway and Denmark with a strong pipeline of own management beds. Integration and synergy realization planning is ongoing pending competition authorities approval ahead of closing of the transaction, which is expected in Q1 2019. Net sales in the third quarter amounted to SEK 1,541 million (1,488). Own Management accounted for 69 per cent (65) of net sales. Adjusted EBITA, excluding items affecting comparability, increased compared to the previous year to SEK 205 million (183). During the year, we have laid the foundation for increased growth by establishing a large own management pipeline and by undertaking several minor acquisitions. Following the acquisition of Aleris’ care operations, we are now looking forward to using our operational model and growth strategy in more geographies and segments. Hosts: Fredrik Gren, CEO, Daniel Warnholtz, CFO, and Jacob Persson, Head of Investor Relations. Nytida, a part of the Ambea group, acquires the Kung Saga school for students with learning disabilities. The school offers education with aesthetic focus and after-school activities. Ambea has expanded existing Swedish Commercial Paper Program to a total value of SEK 3,000 million (2,000). The financing will mainly continue to be used to reduce existing funding. Hosts: Fredrik Gren, CEO, Daniel Warnholtz, CFO and Jacob Persson, IR-manager. A new nursing home in Helsingborg is scheduled for completion during the last quarter 2020. The home will be constructed by Skanska and operated by Vardaga. Jacob Persson will be new Head of Investor Relations at Ambea. 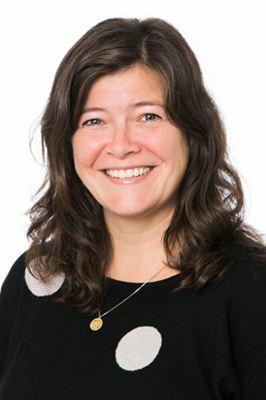 Louise Tjeder, has been the IR-manager since 2016 will leave the company during the autumn. Louise has played an important role in Ambea's IPO-process and in establishing stock market routines within Ambea. Nytida, a part of the Ambea group acquires Tillväxthemmen AB. The operation focus on exposed children and young adults. Since 2013, Ambea presents quarterly Quality Reports. The purpose is to continuously present relevant quality parameters, handling of deviations and external scrutiny. Ambea has completed an extension of the Group's Revolving Credit Facility Agreement of SEK 500 million to a total of SEK 3,000 million. The agreement runs for 3 years with the possibility of 1 year extension, a total of 4 years. Hosts: Fredrik Gren, CEO, Daniel Warnholtz, CFO and Louise Tjeder, Director IR and Strategy. Following a review of Ambea’s staff functions and leadership structure, Ambea is making changes to the Group Management. As of today, May 8, the Extended leadership team members will instead be part of the Group Management team. Ambea is acquiring Curation Holding AB (Stöd och Resurs), which will be integrated into Nytida. The acquisition complements and strengthens Nytida’s current operations in residential care, day services and short-term stays for children and adults with neuropsychiatric disabilities. The purchase consideration amounts to SEK 302 million. A new nursing home in Knivsta is scheduled for completion by spring 2020. The home will be constructed by Vectura Fastigheter and operated by Vardaga. The shareholders of Ambea AB (publ) are hereby summoned to the annual shareholders’ meeting on Wednesday 23 May 2018 at 9.00 a.m. at Näringslivets Hus, Wallenbergaren, Storgatan 19 in Stockholm. Registration starts at 8.15 a.m.
Nytida, a part of the Ambea group acquires Arona Omsorger, active within residential care and support to adults within the autism spectrum. Since 2013, Ambea presents quarterly Quality Reports. The purpose is to continuously present relevant quality parameters, handling of deviations and external scrutiny. 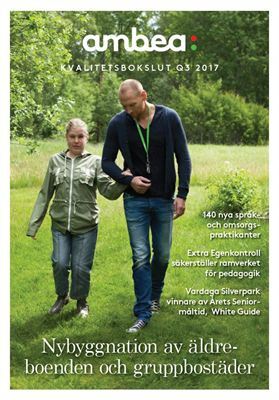 In the Quality Report for the fourth quarter 2017, among others things, the results from Socialstyrelsen´s (The National Board of Health and Welfare) unity survey. Ambea acquires Elevhälsan from PR-vård group. Elevhälsan focus on staffing solutions for primary and secondary school. 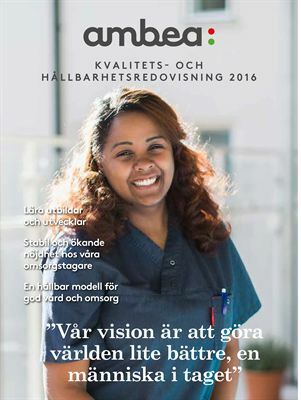 Elevhälsan complement Ambeas existing staffing solutions and will be a part of Rent a Doctor and Nurse. 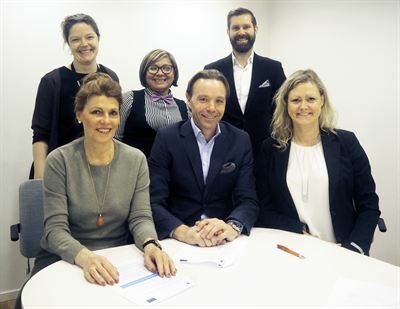 Ambea continues to grow in Norway through the acquisition of Tiltaksgruppa fokus, active within care and support for children and young with special needs. Magnus Åkerhielm has been appointed Head of Division, Nytida, a part of the Ambea group. He will join Ambea during the spring 2018 and be part of the Management Team. Ambea has established a Swedish Commercial Paper Program with a total value of SEK 2,000 million. The financing will mainly be used to reduce existing funding. Ambea has completed the divestment of Nytida Anemon to FMF Assistans. The transition will be finalized November 30, 2017. Ambea continues to grow in Norway through the acquisition of Målrettet Intervensjon AS. It is the fifth acquisition in two years for Ambea in Norway. The Board of Ambea AB (publ) has resolved to initiate a share buyback program for a total of 62,277 shares until May 22, 2018. Since 2013, Ambea presents quarterly Quality Reports. The purpose is to continuously present relevant quality parameters, handling of deviations and external scrutiny. In the Quality Report for the third quarter 2017, among other things, several awards and nominations for awards are presented. 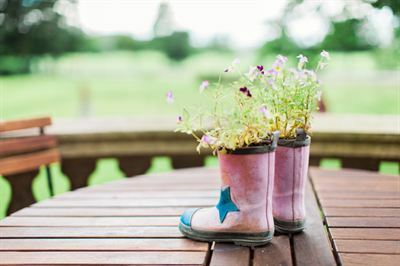 Nytida AB, a part of Ambea, has acquired Brostugegården in Uppsala, a home for people with special needs due to psychiatric and social disabilities. CEO comment: ”During the second quarter, we experienced a favourable increase in net sales. The operating profit, EBITA, which increased by 15 per cent (including repaid pension premiums), was positively impacted by start-ups and acquisitions, whilst the contract management operations, the temporary closure of assisted living units pending permits and the effect of the Easter holiday had a negative impact. 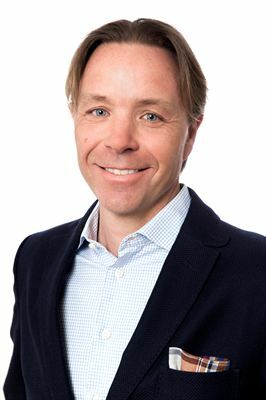 Patrik Attemark was appointed Business Area Head of Nytida in conjunction with the acquisition of Solhagagruppen which was finalized mid February 2016. Since 2013, Ambea presents quarterly Quality Reports. The purpose is to continuously present relevant quality parameters, handling of deviations and external scrutiny. In the Quality Report for the second quarter 2017, among other things, the new educational framework for Nytida, a structured and distinct way to work within functional disability. Ambea continues its growth in Norway with an attractive acquisition, Varphaugen Ungdomshjem, active within care for children and young. Now more children and young people who need special schooling will be admitted to the Nytida VIP school in Sollentuna. Nytida has signed an agreement with HF Omsorgsfastigheter to build an extension of the school so that it will be able to accept twice as many pupils. The Rosengård area in Helsingborg will get a new elder-care facility that will be ready to recieve residents during the latter part of 2019. The facility will be built by KIAB Fastigheter AB and Svenska Vårdfastigheter AB and will be run by Vardaga. The Allarp area in Laholm will get a new elder-care facility, that will be ready to recieve residents during the latter part of 2018. The facility will be built by KIAB Fastigheter AB and Svenska Vårdfastigheter AB and will be run by Vardaga. Ambea's business division Nytida continues to grow within LSS Own Management by acquiring Resursteamet, a Stockholm-based actor primarily in day-care activities for people with acquired or congenital cognitive impairment. The purchase price, which is financed by cash, amounts to SEK 194 million, including a net debt of SEK 6 million. Since 2013, Ambea presents quarterly Quality Reports. The purpose is to continuously present relevant quality parameters, handling of deviations and external scrutiny. 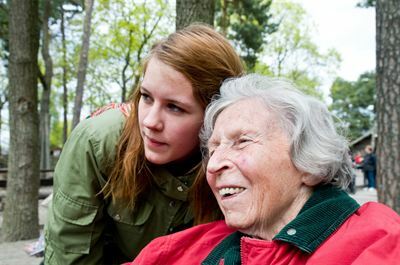 In the Quality Report for the first quarter 2017, among other things, the question is raised about the value of customer and user surveys in the social care sector. Following the Company’s expansion and growth in Norway in 2016, Ambea is now taking a comprehensive approach to strengthen the Norwegian operations. Truls Navestad, currently head of Heimta, one of three companies acquired by Ambea in Norway, has been appointed as Head of Norway from August 1st 2017. Truls Navestad will also become a new member of Ambea’s Leadership team. Since 2011, Ambea has provided an account of its quality efforts in an annual quality report. Now, for the first time, the 2016 edition is being presented as a combined report, including information about quality and sustainability at Ambea. Ambea’s project to offer internships, language training and employment for new arrivals in Sweden has once again been nominated for an award. 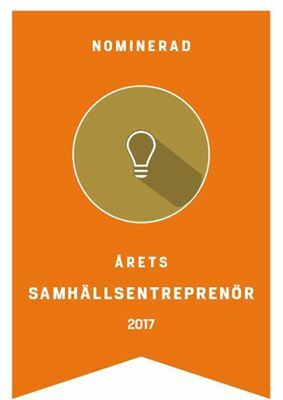 This time by the magazine Dagens Samhälle who awards Årets samhällsentreprenör. 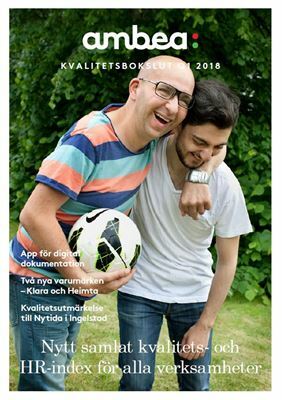 Care personnel and case workers in Swedish municipalities need more competence in alternative and complementary communication with persons who have difficulties in comprehension and self-expression. This is one of the conclusions developed in a research group convened by Lära and Nytida in cooperation with Malmö University. The successful initiative will now continue through a more in-depth research project. As of 2019, the town of Staffanstorp will have a new elder-care facility devoted to care of dementia patients. The new center, which will be called Villa Roos, Park is the result of a cooperative effort between Ambea-Vardaga and Roos vård- och boende Fastighets AB (Roos Care and Living Properties AB). Ambea announces a new project in which some 30 employees in the Nytida and Vardaga business areas will receive training as guidance counselors and language mentors for asylum-seekers arriving in Sweden. The program is being arranged within the framework of ESF Project KISA, an initiative from the Swedish Employment implemented cooperation with education provider Consensum. Next week, the construction starts of Ambea’s subsidiary Nytida’s new housing at Slottsbrinken in Mariefred. Builder is Bällstaudde Projektutveckling AB and the housing with six apartments will be ready approximately by February 2018. Ambea has exercised its right to be heard regarding “Setting Things Right in Health and Welfare” (SOU 2016:78), also known as the Reepalu Investigation. Care company Ambea has signed a letter of intent with Arbetsförmedlingen, the Swedish Public Employment Service, offering to take on at least 500 new arrivals over a three-year period for internships and training in Ambea’s elder-care operations within Vardaga and disability services within Nytida. Ambea has been nominated for Årets samhällsaktör 2016 – an award recognising organisations, businesses or initiatives that have successfully contributed to positive social development. 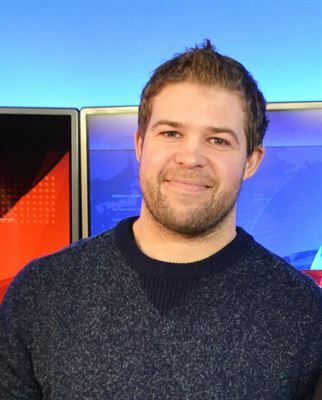 The award scheme was created by communications agency Gullers Grupp. In order to be shortlisted, nominees must have ‘highlighted new perspectives’, ‘influenced the political agenda’ or ‘shown commitment to developing society in the broadest sense rather than within the range of their own business interests’. Ambea is continuing its expansion in Norway with the acquisition of Norwegian care company TBO Helse AS on 31 December. As part of its growth in Norway, Ambea acquired Norwegian care company Vitale AS on 31 October, 2016. Following approval by the Swedish Competition Authority (Konkurrensverket) of Ambea's subsidiary Nytida’s intention to acquire Solhagagruppen, the deal has now been sealed and integration between the two companies has begun.